February; the month of L-O-V-E. 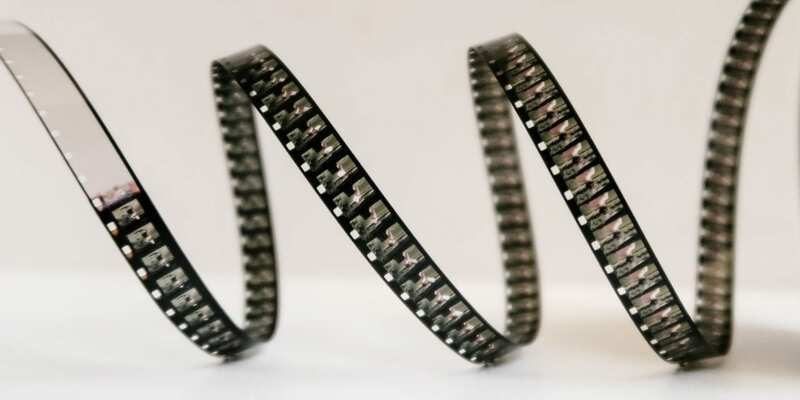 It seems only fitting, then, that this month’s Grow on Screen should feature a film with some romantic ties. Don’t worry Grow readers, I’m not going to go all mushy gushy on you, although you may think so when I use the words ‘musical’ and ‘romance’ together. In recent years, musicals have come into a world of their own with successes like Les Misérables (2012) and The Greatest Showman (2017), not to mention Disney’s resurgence of songs within its cartoon films bringing musical film back on trend. Released in 2007, it may be fair to say that Once was ahead of the musical trend. 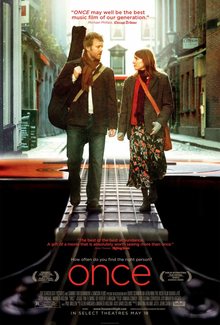 Set in Ireland, this musical romance was directed by John Carney and stars Irish folksinger Glen Hansard (if you have not heard his music, get on Spotify right now) and Czech singer-songwriter Markéta Irglová. So what sets Once apart from other mundane romance plotlines? Well, it scored 97% on Rotten Tomatoes for one. Although it is technically a musical, if you’re expecting show tunes, you will be disappointed. Instead, the songs are raw, emotive (take, for example, Hansard’s solo ‘Broken Hearted Hoover Fixer Sucker Guy) and, in many ways, sad. The film follows an unnamed hoover repairman (Hansard) who busks on Dublin’s streets by night. He meets an unnamed Czech girl (Irglová) by chance and finds out that she too has a love for music. These two kindred musical spirits share their past experiences of love, of difficult parents, of trying to find their place in Dublin whilst putting together a demo for Guy to take to London with the help of a ramshackle bunch of street musicians. Guy and Girl have an unmistakable on-screen chemistry through their shared love of music, but the developing romance of their relationship is complicated and difficult, rather than whirlwind and fantastical. The ‘realness’ is palpable; from the scenes shot in Guy’s box-like single bedroom to the night streets of Dublin. When Guy finds out that Girl is also a musician, he wants to hear her play. She has no piano, so he takes her to a piano store in Dublin. Here she plays some Mendelssohn and he listens, we listen, even the store owner doesn’t interrupt the scene until we have all just listened. If it has not already become clear by this point in the film, this scene drives the point home that the true voice here is music. Dialogue comes second. Shot over seventeen days with a minimal budget, when I first watched Once I had zero expectation and did not expect it to become one of my favourite films of all-time. Its lead characters are not given names because they do not need them; they represent a universal idea of two people coming together through a shared love and trying to make their lives together work. 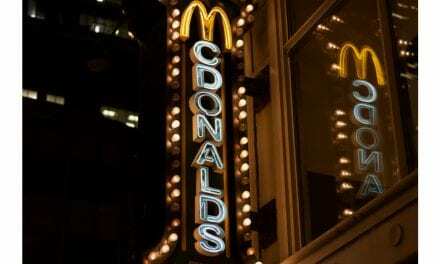 Is The UK Hungry For Vegan McNuggets?